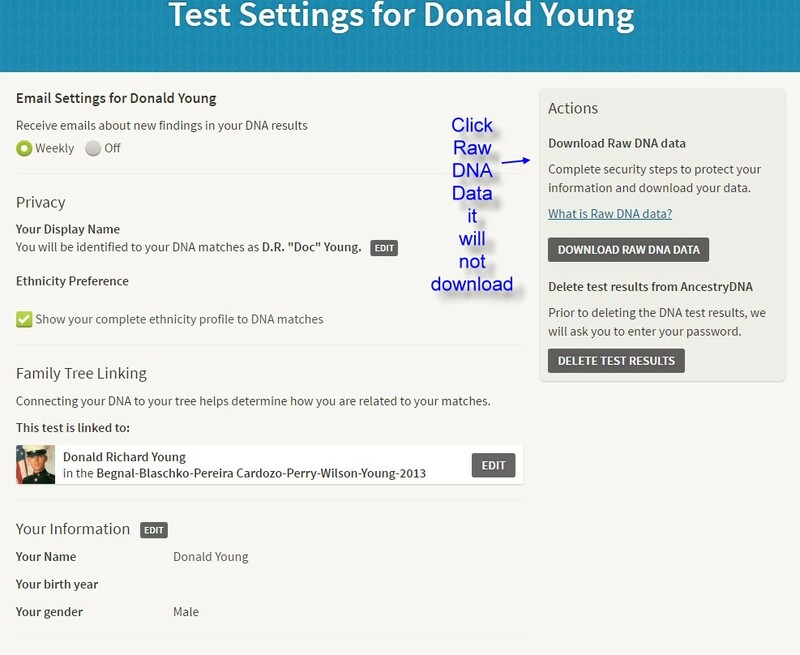 6 Feb 2019 Results of my FTDNA Y-DNA37 test Kit No. 892549 - I have 11+ matches to the "Eaton" surname, thus I am not a Young as born, nor Begnal as my Father was born. 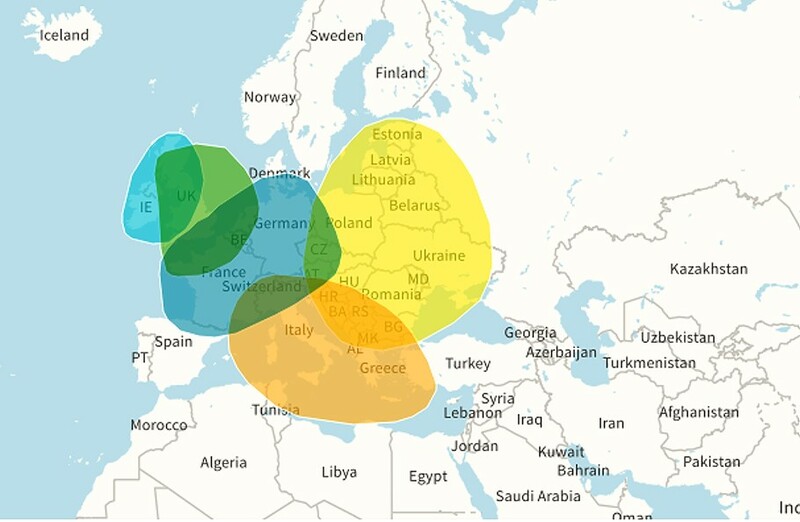 I am really not happy with these Ancestry DNA results (online link), as it is not important my Ethnicity, as it is my biological blood lineage. 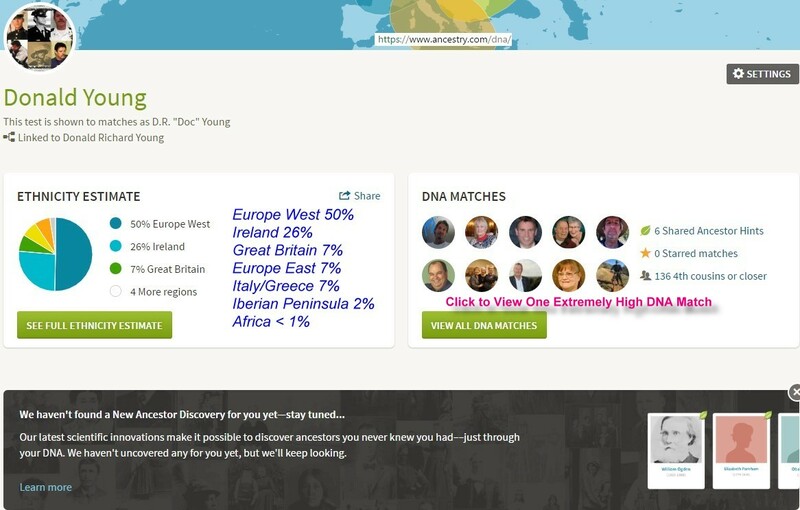 The real challenge of DNA matching is to make sure that any identical pieces of DNA we (Ancestry) find are really identical because of a recent shared ancestor—rather than ancient shared history. There are other reasons why two people’s DNA could be identical. After all, the genomes of any two humans are 99.9 percent identical. 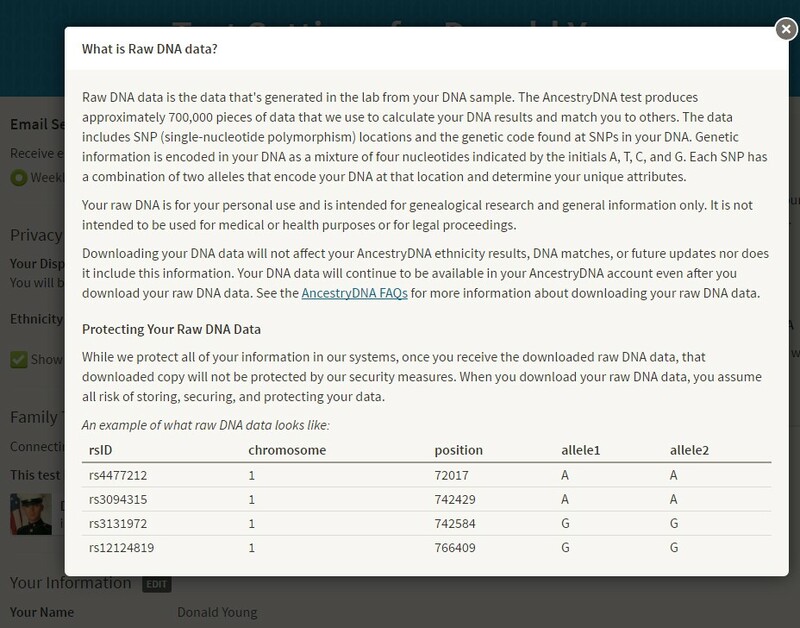 (And the genome of a human is 50 percent identical to the genome of a banana.) 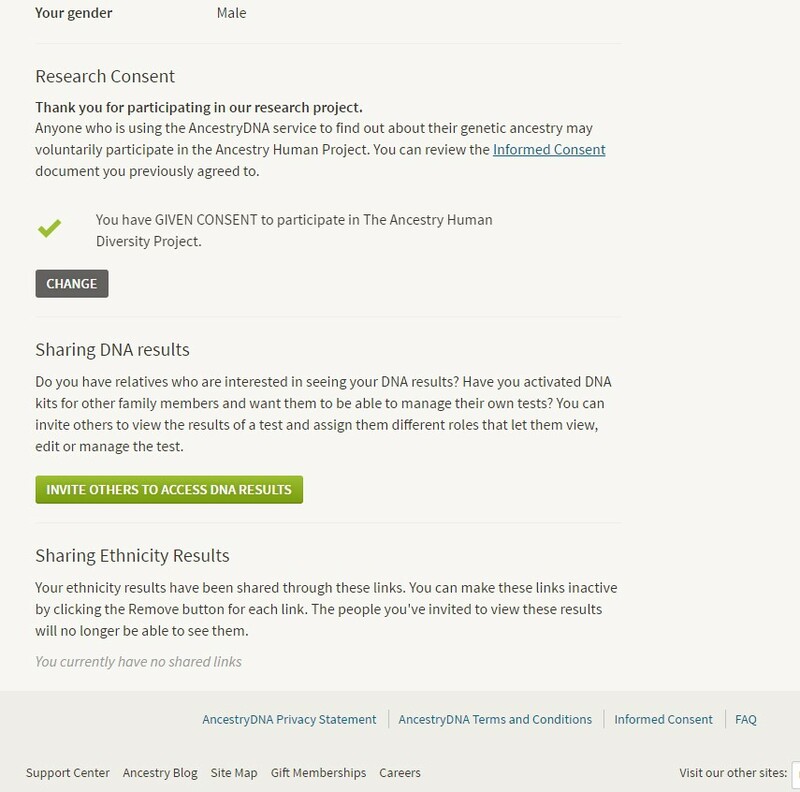 Pieces of DNA could be identical between two people because they are both human, because they are of the same ethnicity or come from the same region, because they share some other more ancient shared history, or other reasons. We (Ancestry) call these identical pieces of DNA identical by state (IBS), because the DNA is identical for a reason other than having a recent shared common ancestor. Looking at the DNA sequence alone doesn’t tell us the difference, so we’ve (Ancestry) developed a ground-breaking scientific method that helps to distinguish DNA that is IBD (Identical By Descent) from DNA that is not. 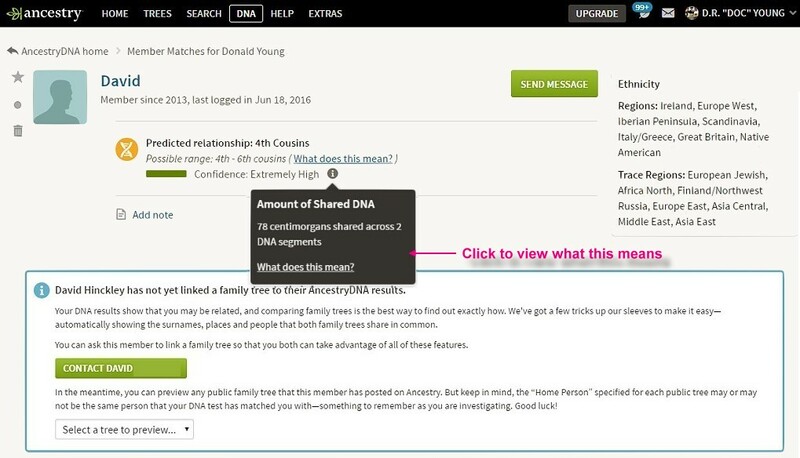 Our (Ancestry) method looks at not only the amount of identical DNA between two people, but also its location in the genome and other features. 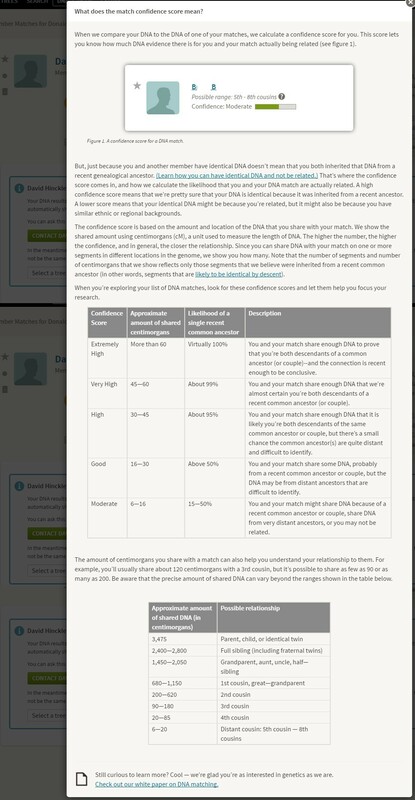 (Get more details on the process in our white paper pdf) If we find that you have identical DNA with a potential DNA match that appears to be IBS (identical by state) and due more to an ancient shared history, we won’t show them in your list of matches. 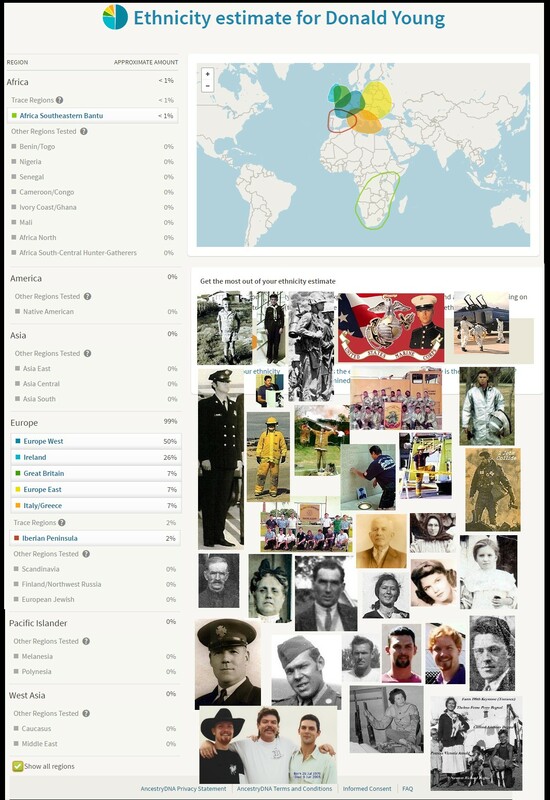 I feel Results are also in Combination with Matching your online Family Tree Ancestors (from my 26+ years of researching since 1992), with other's who have posted Private or Public Trees, which may contain 3 to over 77,000 Ancestral Names, unknown to myself which shared Ancestor we have in common. Depending on another Researchers Experience from their research, may not necessarily be accurate.